Do You Need to Incorporate Your Business in Other Provinces? If You Incorporate Provincially, Can You Do Business in Other Provinces? If I Incorporate a Business Provincially Can I Do Business in Other Provinces? What Does It Mean To "Do Business" in a Province? If you originally incorporate a business in British Columbia and later wish to do business in Alberta, it's a relatively easy process. Because BC, Alberta, and Saskatchewan have an agreement, the New West Partnership Trade Agreement (NWPTA), you need to register your corporation in Alberta; also, if you have created a named (rather than a numbered) corporation in BC, you need to get a NUANS report, which currently cost $30 when done through the BC Registry Services. Assuming the name search is successful, this information is sent along to the Alberta Registry, and an Alberta registration confirmation is issued. There are no extra fees for this. Also, because of the trade agreement between the two provinces, there is no requirement for your corporation to file an extra-provincial annual report. Other provinces have similar arrangements. Nova Scotia, for instance, has an agreement with New Brunswick; so, if you incorporate a business in one province, it does not have to be registered in the other. Ontario, in my opinion, is an excellent province to do additional business in because businesses that are incorporated federally (or in any other province or territory within Canada) do not need to get an extra-provincial license to operate within Ontario. They do, however, need to file an Initial Return/Notice of Change Form 2 (under the Corporations Information Act) within 60 days after the date the corporation begins to carry on business in Ontario. There is no fee for filing this form. Ontario and Quebec have a special agreement so that if you originally incorporate a business in Ontario, you don’t need to get an extra-provincial license to carry on business in Quebec and vice versa. (You do have to register your corporation in the other province, though. In Quebec, this means you must file a "Déclaration d'immatriculation" within 60 days of doing business in Quebec. Let's go back to the original example. You have incorporated a business in BC and also want to do business in Manitoba. BC and Manitoba do not have any agreement covering extra-provincial registration for corporations; so, you would have to go through the extra-provincial registration procedure for Manitoba, which involves a Request for Name Reservation (filing fee: $40.00) and a Form #5: Application for Registration (cost: $300). As well, filing an Annual Return costs $50.00. If you originally incorporated federally, you have to go through this same extra-provincial registration procedure if you want to operate in Manitoba. As you see, doing business in Manitoba when you have already incorporated a business in another Canadian province or territory is a lot more expensive and paperwork intensive than being incorporated in another province and wanting to also do business in Ontario. Now, I certainly don’t mean to pick on Manitoba in this article. 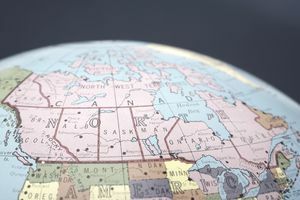 Most other provinces make domestic Canadian corporations that have "home bases" elsewhere in the country go through a similar costly and aggravating procedure. I find it ironic that we have Free Trade with other countries, such as the US, but not between provinces within our own country. If your situation has not already been covered in this article and you find out what whether extra-provincial registration of your corporation is necessary and what the extra-provincial registration procedure is in a particular province, you will need to contact the Corporate Registry of that province. The home page of this Incorporation FAQs has a link to each Corporate Registry in the "How to Incorporate in Various Canadian Provinces & Territories" section.